Government and business often go together like oil and water. But when it comes to combating drought in the North Bay, the two sides have declared they are in the same boat. A coalition of the region’s business and agricultural leaders has teamed up with representatives of government water agencies to broaden awareness of the need to save water. “A collaborative effort is the only way we’re going to get anything done,” said Brian Ling, executive director of the Sonoma County Alliance, the region’s largest business coalition. The new partnership, dubbed the North Bay Water Sustainability Coalition, was announced Thursday at a news conference held outside Friedman’s Home Improvement on Santa Rosa Avenue. 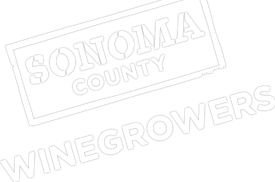 Besides the Alliance, members of the group include the North Bay Leadership Council, Santa Rosa Chamber of Commerce and the Sonoma County Winegrowers Commission.